The podcast about junk food. 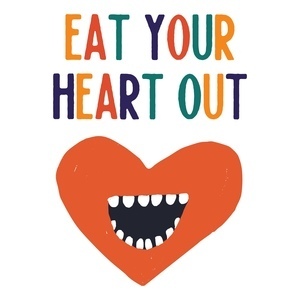 We found 9 episodes of Eat Your Heart Out with the tag “snack”. Episode 9: Have we Peeped? 🐰 Easter treats are the best. 💝 Valentine's Day treats are the worst. We try the junkiest cereals of 2018 -- and even some form 2019! 🎅 Twinkies, Christmas Tree Cakes, & Holiday Cheerwine! 🎄 We try a billion holiday snacks in an effort to become human fois gras. 🍫🥪🍪 "Chocolate Sandwich Cookie". That's what Nabisco calls its beloved Oreo biscuit these days. A complicated name for the prototypical American cookie. We almost die as our blood sugar levels approach corn syrup. Join us in our quest to get Stuf'd. 🥔"Intense and Stimulating" is not just a password protected folder on my laptop but a line of Lay's potato chips sold in China. That's right we're taking on the wild variety of America's favorite maker of America's favorite snack. 🎃 Hello, welcome to our podcast premier! It's peak PSL season so we try some of this year's pumpkin spice offerings for the first and hopefully last time on the podcast. We also talk about the downfall of American "Cheese".